If you recall, we’ve actually made an article for “Back to school outfit ideas for guys” before the ending of summer break. 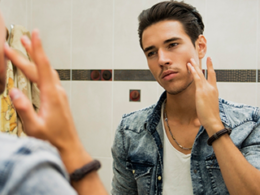 Today, we are going to feature the style tips for college men so that young guys can learn how to dress sharp every day and to look better than your friends. It’s doesn’t matter about how you look, how tall you are or what size you have because it all depends on the self-confidence you have. You have to understand that a big chunk of style depends on a confident attitude. If you look at the pictures we’ve shared so far, not all influencers are handsome with a 6-foot height. 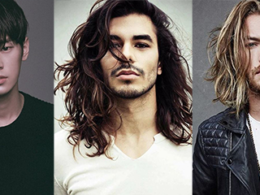 We even have a ‘Big Guy Fashion’ board in our Pinterest, and you can see each of them are confident enough for their own style. Never forget self-confidence also a crucial factor to help you engage with women and tell you who you are and what you stand for. 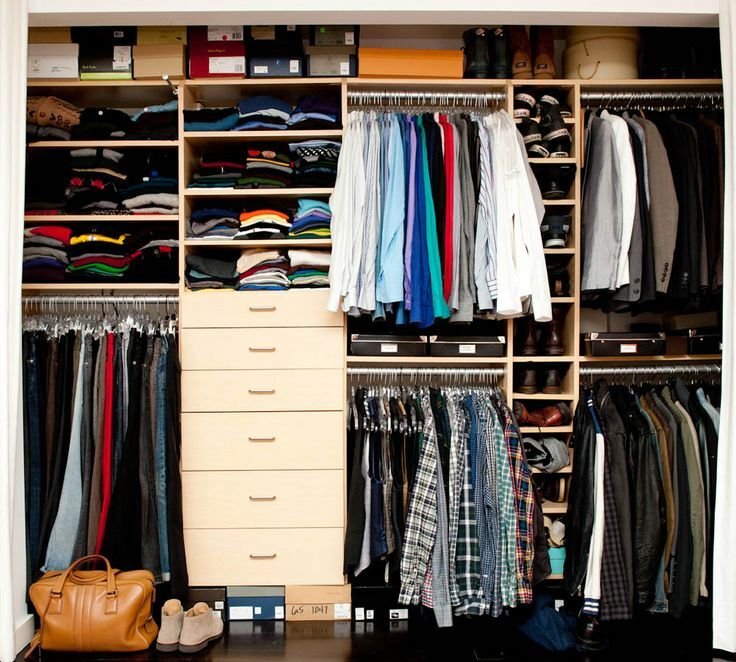 You are comfortable to wear whatever clothes you want in your home. But a baggy, dirty, and oversized outfit should be avoided for almost all meetups or events, except it is a family gathering where your parents won’t actually care about what you’re wearing. Do remember when you’re outside, make sure your clothes fit. If it doesn’t fit, do not buy it. Some Korean fashion started to introduce oversized t-shirts, if you wear it nice, you can buy one or two piece(s). Unless you are going to be a fashion influencer or famous model in the future, there is unnecessary to spend too much on trending fashion items. Mainstream fashion trends need A LOT of money, I mean A LOT! 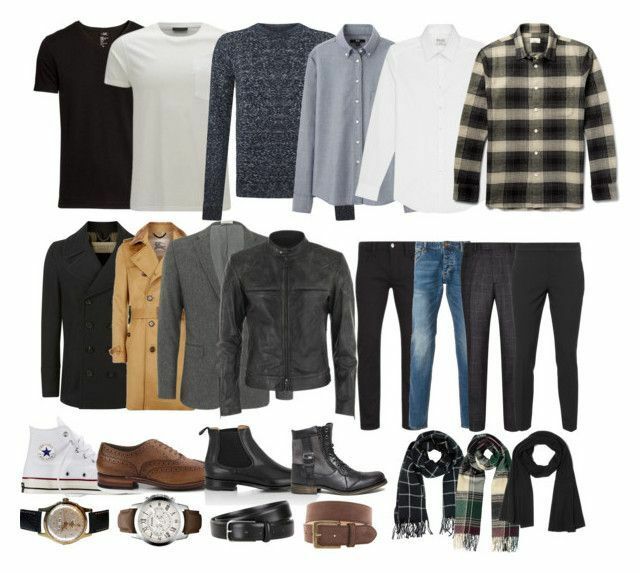 Most college men can’t afford the fashion outfits for every seasonal change. Try to wear timeless clothing pieces with classic colors, patterns, textures, and combinations. We don’t encourage young college men to spend too much on trends, but it doesn’t mean you cannot try the new fashion items. In the end, it’s 2018, you gotta be bold to try everything in your life with a condition – spend rationally. Blazer is a fashion cloth that never goes out of style, but you have to carefully choose the color. For safer option, grab a nice black or dark navy blazer that can easily be matched with other pieces. Wear them with a button-down shirt or a plain color t-shirt. If it is fall or winter, invest a timeless leather jacket will be the best option. It can be worn for many years if you take a good care on them. 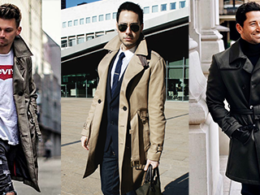 If you want to know whether an outfit or item will go out of style or not, ask yourself can it be worn for every season? If cannot, can it be worn on the same season for the next few years? If the answer is a ‘Yes’ for either one of the two questions, then you can buy it. Nothing has become worse than what you are wearing has ripped and broken in front of your friends or in the public. Although it is quite tempting to toss these broken, ripped or stained items and purchase new ones, given a condition that you’re resourceful, but it also trains you the wisdom to make better purchases at an early age. Similar to a belt, shoes can make or break an outfit. 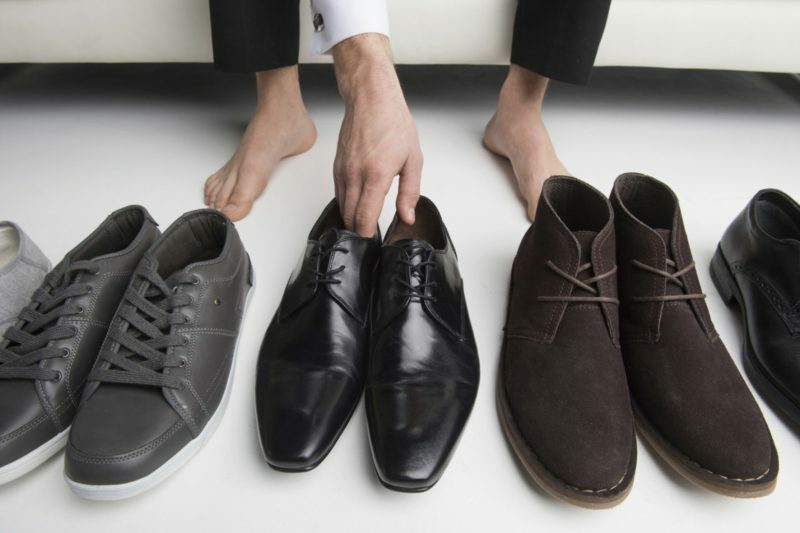 But shoes tell more story, in the business world, people see shoes as a way of measuring your net worth. For college men, you cannot just wear the same sneaker for a whole month. 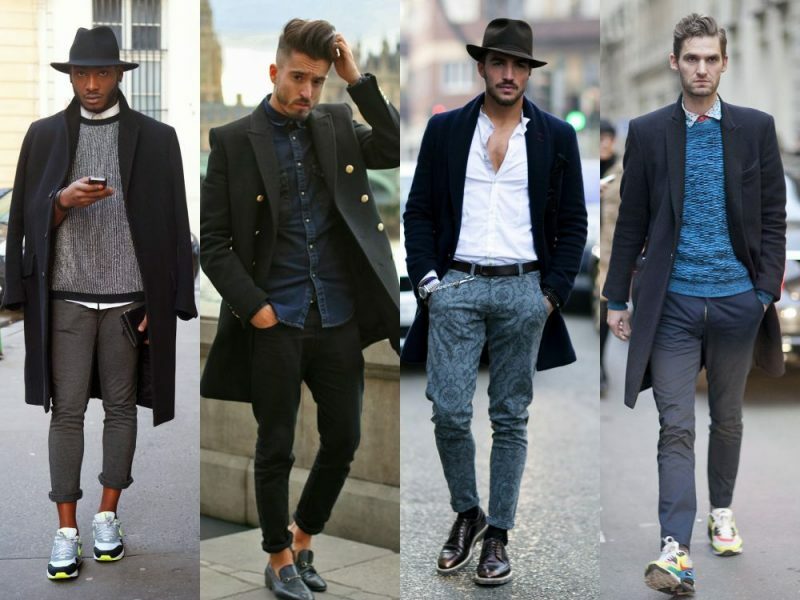 Exchange it occasionally with a pair of quality chukka boots or Chelsea boots for more style. To browse the complete collection of mens’ shoes, follow this ’20 shoes every man should own’ article. You’re no longer a child who wears the plastic watch. 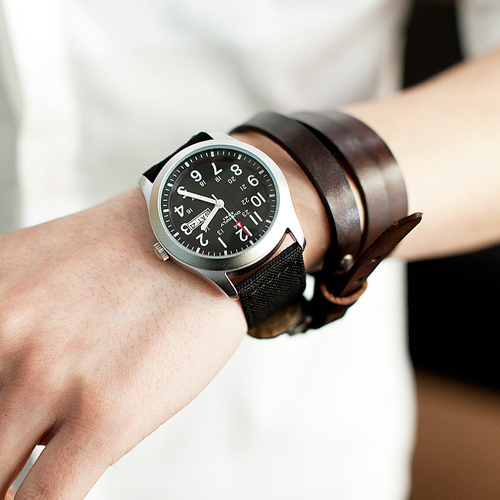 Grab a watch that is made of stainless steel with a leather strap. Never go for gold color strap, it looks too old-fashioned to young men. 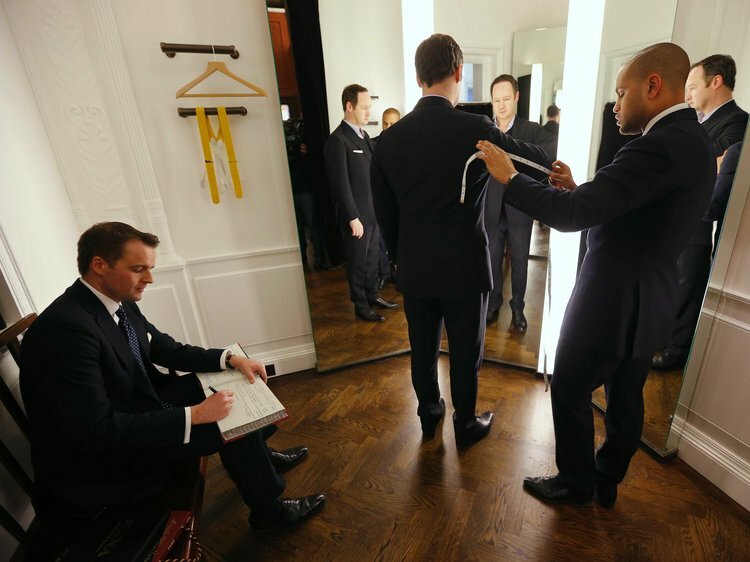 Style tip #8 – Experiment to Find Out What Fits You Best. 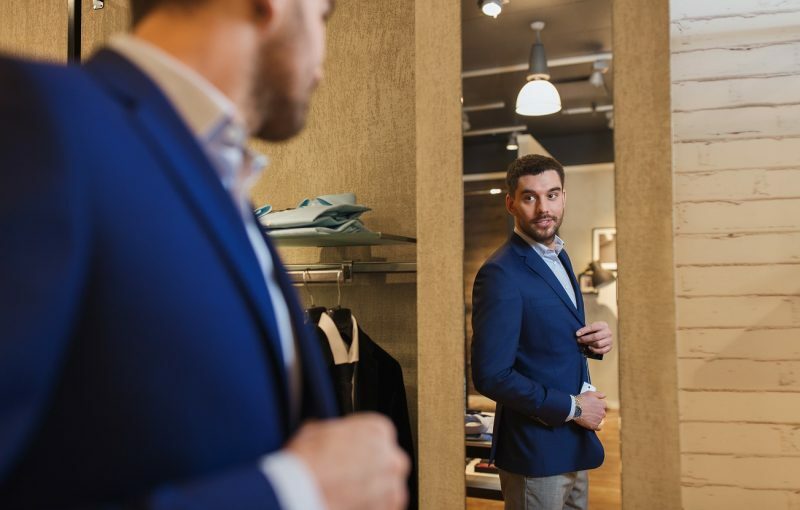 If you don’t know which outfit fits you well or whether you wear them nice, you can always visit a fashion store and try them on. Then snap a picture in front of the mirror to see if it fits. Never try to buy clothes online if you didn’t know what size your body is, or whether you wear them nice. 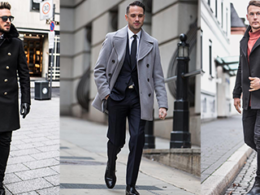 A quality and well-fitted suit can be used for multiple times and last for years. Even though it is more expensive than those ready-made ones, but believe me, it’s more than it worths. 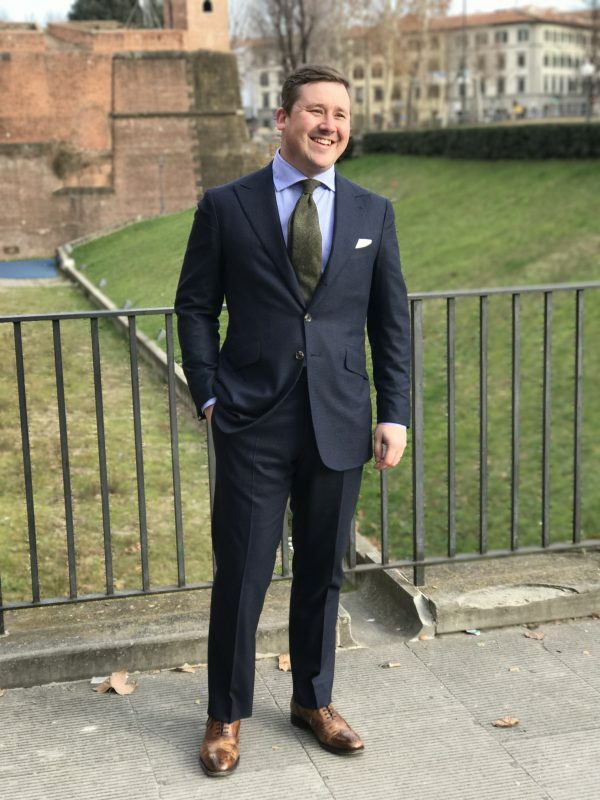 A tailored suit will make you look more dapper and making people believe that you’re buying a quality suit from the branded store. 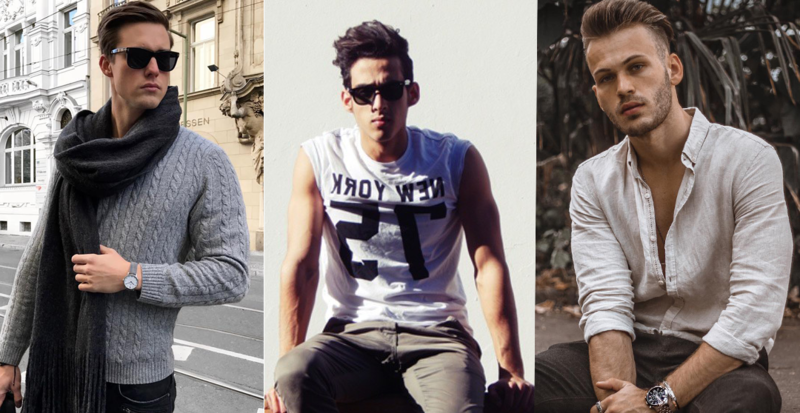 Layering will take your style up to another level. 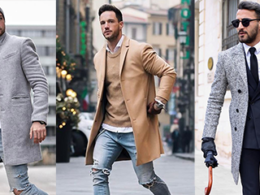 Layering can help to create interesting and stylish combinations for your appearance, it has then become the most essential skill to be learned by every man. 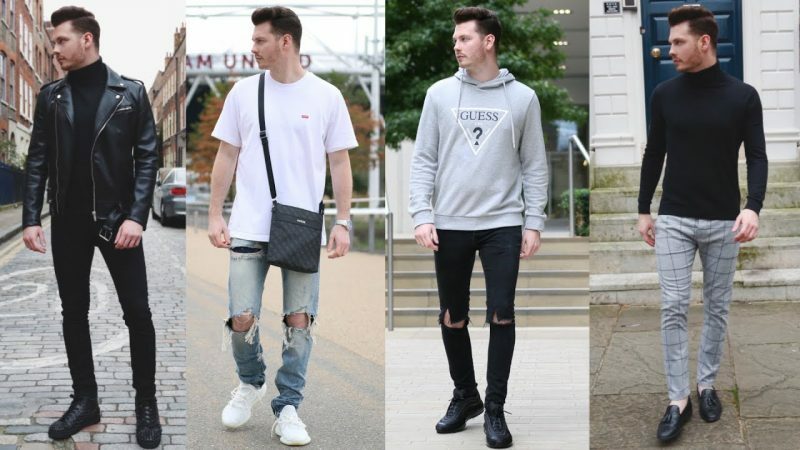 We’ve curated more than 50 best college men fashion ideas for you and we hope it will inspire you on your next look in the college. Please click next button or slide left using finger if you’re on mobile.